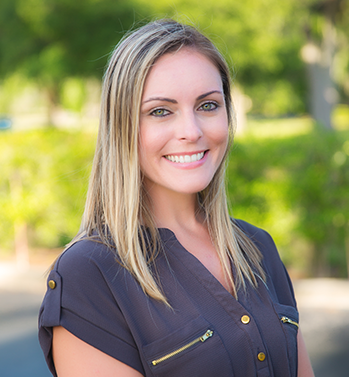 Megan Lefebvre, ARNP, is an oculoplastic and aesthetics advanced registered nurse practitioner (ARNP) at Ocala Eye. She enjoys interacting with patients and is passionate about helping patients look and feel their best. Before joining the Ocala Eye team, Megan was the nursing supervisor for a high-volume eye surgery center where she was the primary nurse responsible for all oculoplastic operations including skin lesions, reconstructive surgeries, skin grafts, obtaining biopsies, and first assist with Botox injections. She interviewed and cared for patients in pre and post-operative situations ranging from prophylactic treatments to emergency surgeries. Megan also has experience working as an ARNP for infectious disease and wound care including identifying diagnoses and developing appropriate treatment plans based on patient needs and conditions. Megan’s path to nursing began at the University of Central Florida where she obtained a Bachelor of Science degree in nursing. She then earned her Masters of Science degree in nursing, at South University in Savannah, GA. She also received her ARNP certification from the American Academy of Nurse Practitioners and her certification in fillers and injectables from the National Laser Institute. She is an active member of the Junior League of Ocala. She enjoys fishing with her husband on their days off together as well as spending time with friends and family. She loves to travel, craft and spend time with her three dogs.